Fan Forum > TV Shows - Present > NCIS Franchise > L.J. Gibbs & T.C. Fornell #1: 'Because they share an Ex-Wife!" Abby: It's not a dress McGee... you can't look up it to see what you want. "Did she scream at you?" "Did she ever swing a golf club at you?" I wanna see Fornell on the hot seat and Gibbs questioning him. That could be good... as proven by the next posts after this was said. GIBBS: Supposed to be here an hour ago. FORNELL: My daughter had a performance at school. I told you! Be nice to me, I just spent two hours with our ex-wife. GIBBS: Yeah? She mention my name? GIBBS: Hey! You shaved your beard. GIBBS: [sees the food] What is that? GIBBS: I thought you were picking up cheeseburgers. FORNELL: It’s lamb curry from the Punjab Express. 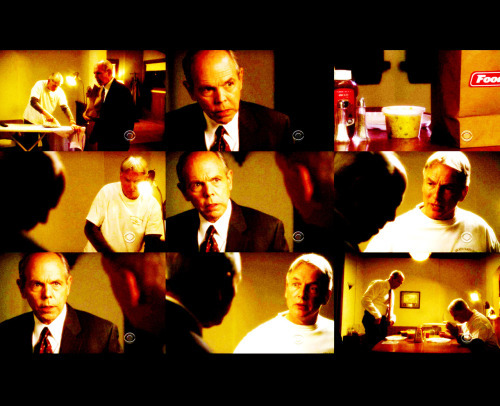 GIBBS: We both agreed that we hate that place. FORNELL: We did, but I got a two-fer coupon in the mail. GIBBS: Well, did you order it spicy or mild? Sometimes I swear they're an old married couple! Maybe that's it... the sharing of an ex-wife. I hope we see Fornell again this season.